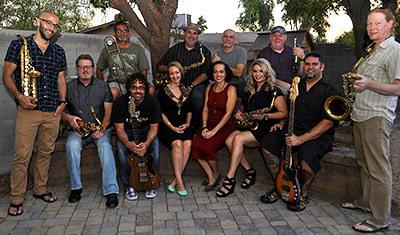 Created in Phoenix, Arizona in late 2015, CrossTown Players had ambitious musical intentions from the start with multiple vocalists and a 7-piece horn section. Like the great funk bands before them, CrossTown Players have established an impressive reputation of bringing the groove and funky rhythms back to life. Their passion for music spills into the audience.